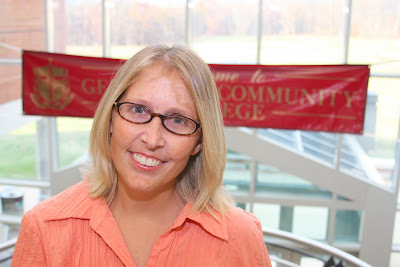 Cheryl Rose, a student at Germanna Community College, has been awarded a $1,000 scholarship from the Coca-Cola Scholars Foundation. Through the Coca-Cola Two-Year Colleges Scholarship Program, the Foundation awards a total of 400 scholarships annually to students attending higher-education institutions granting two-year degees. All recipients have demonstrated academic success and participated in community service within the past year. “The scholarship honors students who often balance responsibilities of school, work and family, but also find time to give back to their communities through community service,” said J. Mark Davis, president of the Coca-Cola Scholars Foundation. She said she had never thought she’d be able to go to college because her family lacked the money. The jobless rate in the Fredericksburg area rose to 6.2 percent in January, its highest level for that month since 1993. Bill Freehling, Business Columnist for The Free Lance-Star, will talk about what the jobs picture looks like in the area at 11 a.m. Thursday, March 19 in room 212 of the Dickinson Building at Germanna's Fredericksburg Campus. Germanna's new Automatic Payment Plan is an easier way to pay for college that's affordable, convenient and interest-free. Students who start early with the plan will have more time to pay, with lower payments. The last day to enroll online with no down payment is April 16. Payments are processed on the 20th of each month and will continue until the balance is paid in full. If a credit/debit card is used, a convenience fee in addition to the enrollment fee will be assessed. • From "Popular GCC Links," choose "FACTS/Credit" or "FACTS/Non-Credit"
Germanna Community College's mascot may be the Grizzly, but GCC students will be playing Easter Bunny on Saturday, March 28 from 11 a.m. and 1 p.m., when the Student Government Association and Student Activities Office host an egg hunt for children between the ages of 1 and 10. The hunt will take place in the Student Lounge at the Locust Grove Campus. There will be free hot dogs, snacks and sodas along with egg hunts and games for kids. Germanna Community College is participating in a state-wide emergency response drill Tuesday. March 17 at 9:45 a.m. so students, faculty and staff can become familiar with where to go when the school receives a tornado warning. "Please cooperate with the hall monitors who have volunteered their time to help direct students and faculty to the shelter locations," said GCC Safety and Security Manager Mark Borchers. "The drill will not take very long," Borchers said. "I am hoping you will see that a little time spent in practice may make a big difference when a real storm occurs. Thank you for your cooperation. If you have any questions about how the drill was conducted, or other comments you wish to share please address them to mborchers@germanna.edu. In the event a tornado or microburst should strike one of Germanna's campuses or sites, move to an interior room or hallway away from windows. If that isn't possible, shield yourself from windows or doorways where debris may be blown. Generally, you're safer remaining inside, rather than trying to get in your car and drive home. JOHN BROWNLEE: Former U.S. Attorney, 2001-2008, appointed by President George W. Bush. Retired U.S. Army officer. Attended high school in Fairfax, graduate of Washington & Lee University and William and Mary School of Law. Served as Assistant U.S. Attorney for the District of Columbia 1997 to 2001. Teaches trial advocacy at the University of Virginia. Married to Lee Ann, a former TV news anchor and reporter. The couple has two daughters and live in Roanoke. KEN CUCCINELLI: State senator, District 37, Fairfax. Patent lawyer who grew up in Northern Virginia. Graduate of the University of Virginia and George Mason University. Married to Teiro. The couple has six children and live in Centreville. DAVE FOSTER: Partner in Washington, D.C. law office. 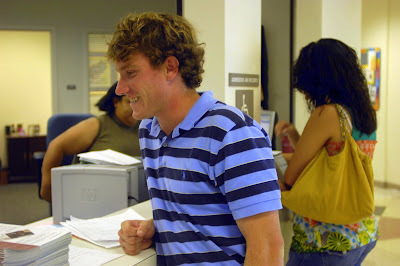 Served two terms on Arlington County School Board. Longtime member Arlington County Republican Committee. Graduate of University of Virginia School of Law. Married to Martha. The couple has two children and live in Arlington. The Republicans will select an attorney general candidate to be on the ballot in November at its convention May 29 and 30 in Richmond. Former Attorney General Bob McDonnell stepped down from the office last month to run on the Republican ticket for governor. The General Assembly appointed Bill Mims, a lawyer and former state legislator, to fill out McDonnell’s term, which expires in January. Steve Shannon, a Fairfax County state delegate, is the Democrat running for attorney general. For information about the debate, contact Doug Rogers, 30th District legislative chairman, at 972-8117. The three Republican candidates for attorney general will debate in Culpeper on Monday night. The debate, at Germanna Community College's Daniel Technology Center, will be moderated by former Republican attorney general Jerry Kilgore. The candidates are state Sen. Ken Cuccinelli of Fairfax; John Brownlee, a former U.S. attorney for Virginia's Western District; and former Arlington County School Board member Dave Foster. All three candidates are scheduled to participate. The Republican Party will choose its candidate at a convention May 30. The debate begins at 7 p.m., and doors open at 6:30 p.m. It is free and open to the public, and sponsored by the Republican committees of Culpeper, Orange and Madison counties. 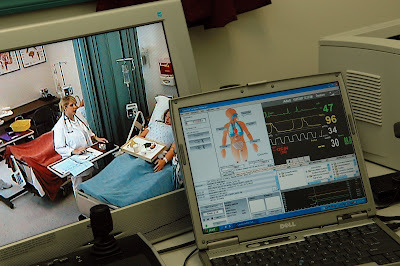 Federal omnibus spending bill will help GCC Nursing Program in part through expansion of Virtual Hospital. 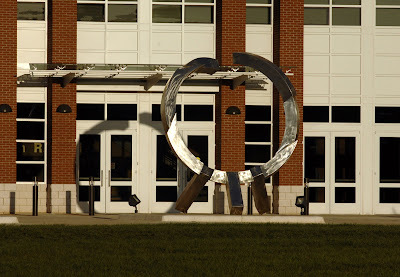 RICHMOND — Germanna Community College will receive $285,000 in federal money thanks to Rep. Rob J. Wittman, R-1st. The Westmoreland native requested the funds through the omnibus spending bill signed into law by President Barack Obama on Wednesday, granting $155.1 million to 186 projects into Virginia localities, university and nonprofit groups. That spending amounts to $19.97 per capita for Virginia, less than the national per capita figure of $22.39, according to the government watchdog group Taxpayers for Common Sense. 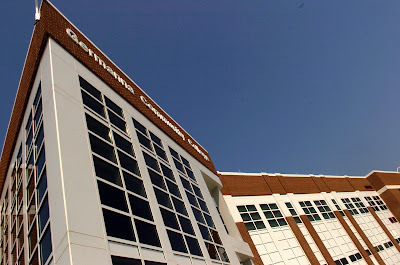 The GCC money would help pay for a nurse training initiative and state-of-the-art equipment. The spending bill allocates $287,000 for upgrades to the combined sewer overflow system in Richmond, $400,000 for security upgrades at the Oliver Hill Courts Building and $617,500 for GRTC buses. While pet projects continue to benefit, Virginia’s congressional delegation varies on the view of earmarks and the method for doling them out. Rep. Eric I. Cantor, R-7th, didn’t put in for any. He favors a freeze on earmarks because he thinks they contribute to the federal deficit. Sen. Jim Webb, on the other hand, sent out news releases Wednesday about project money he secured. Germanna Community College students could've enjoyed a day off from school Monday--if they hadn't already been off. 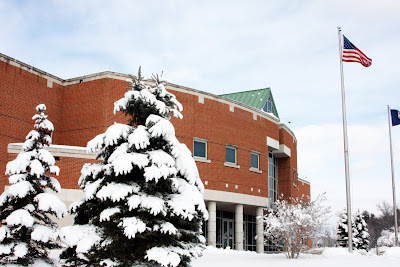 The college was closed due to a heavy snowfall Sunday night, but students and faculty were already on Spring Break. Staff and administrators did get a mini-break of their own, though, when the snow gave them a three-day weekend. 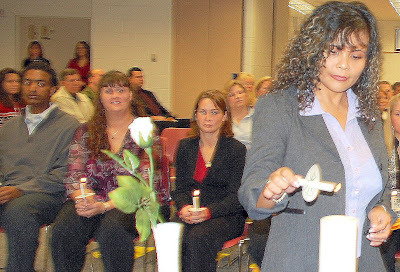 The Alpha Lambda Psi Chapter of Phi Theta Kappa International Honor Society of the two-year college held its fall induction ceremony on Saturday, Feb. 28, at Germanna Community College. The induction ceremony is held once per semester to acknowledge the academic achievements of students who have achieved a 3.5 grade point average and have completed 12 credits towards a degree program. During the Induction Ceremony, the new members pledged an oath to the chapter, signed their name into the Induction record book and lit the ceremonial candle. Upon completion, the inductee is an official Phi Theta Kappa member. Sarah Alston, Dayna Austin, Erika Baardsen, Misty Baker, Cora Boyd, Derek Breitenbach, Zachary Briley, James Byrne, Gail Cheromiah, Regina Childs, Ryan Corbett, Ashleigh Cramssey, Stephen Dinehart, Denise Epperson, Donna Ferrer, Jennifer Fleece, Sherry Garretson, Kenneth Gerbert, Nina Griffin, Rebekah Hader, Nijessia Harmon, Andrew Henson, Douglas Jett, Cassandra Leblanc, Christopher Lonzo, Nadia Mardini, Sherry Martell, David Morales, Stacy Owen, Pamela Petzold, Michael Phillips, Cheri Pryor, Amanda Redman, Lawrence Reinhart, Laurie Reiss, Chelseay Reynolds, Faina Sapozhnikova, Erik Schade, Jaclyn Schwart, Austin Sites, Arlene Smith, Douglas Stevenson, Marie-Claire Stokes, Jonathan Sullivan, Blair Tarbert, Sara Tenda, Andrew Tonnacliff, Michael Wilford, Jr., and Kaitlyn Wilson. How would you rate this news blog?